One of the nice things about owning a Shih Tzu is deciding how you want their hair to be groomed. 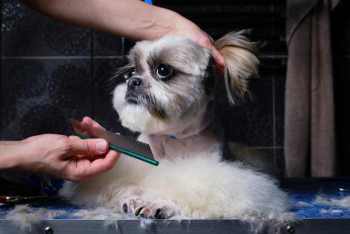 Unlike short-haired dogs who wear the same hairstyle year after year, the possibilities for Shih Tzu styles and cuts is limited only by the imagination and skill of the groomer. If you love D.I.Y. 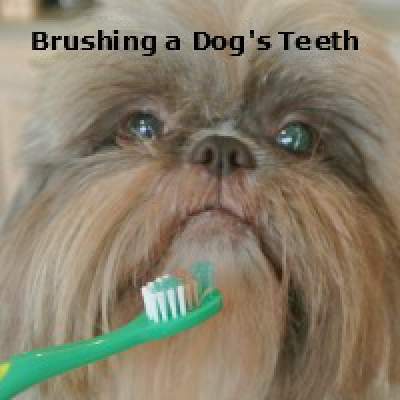 projects, grooming your own Shih Tzu can be very rewarding. Before we look at individual Shih Tzu haircuts, we should point out that not every style will look the same for every dog. Some dogs have thick, thick, thick coats that grow fast, others not so much. Some have longer snouts, higher placed ears, shorter legs, rounder heads, and so forth. To get a feel for what works for you and looks great on your dog may take some experimentation. 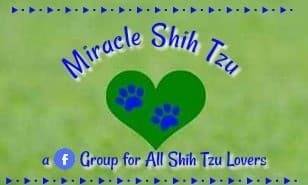 Most owners of pet Shih Tzu dogs prefer to keep their dogs trimmed which means a trip to the groomers about every six to eight weeks. The other option, of course, is to keep the hair long and flowing. Even if you never plan to show your dog, a long hairstyle might be perfect if your dog loves to be brushed and you enjoy grooming. 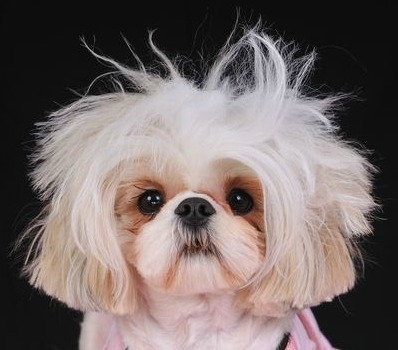 If you decide to go the route of long hair, be forewarned: The operation of keeping a show dog look takes considerable time, elbow grease and money, thus don’t require your favorite Shih Tzu to look like a Show Dog unless you plan on investing in the additional effort required to preserve the look. 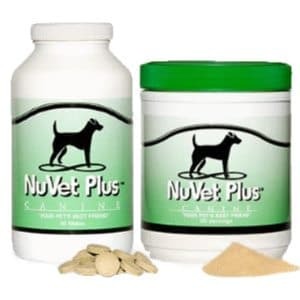 Most pet owners do not want this for their dogs. There are so many options when deciding how you want your dog to look. 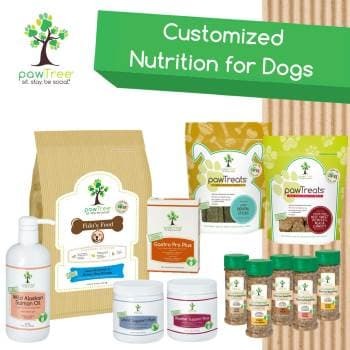 Think in terms of what you can do with each portion of your dog: Face, Body, Head, Ears, and Legs. With all Shih Tzu haircuts, the tail is usually kept long. The face is the first thing you notice when you look at your Shih Tzu so when examining Shih Tzu haircuts, think whiskers, beard and head first. Faces can be completely shaved free of hair giving the dog the appearance of a Cavalier King Charles Spaniel. The whiskers and beard can be trimmed short or left long. Some prefer a completely rounded look so whiskers and beard are trimmed shorter. This look gives the classic chrysanthemum or puppy look that gave the breed its name. A longer beard and whiskers will give the appearance of a longer head shape. The topknot can be long and thick, pulled up with rubber bands, or all the hair on the head shaved short. Alternately, the hair can be left at the same length as the body or the topknot trimmed to a shorter version that sticks up or teased out. The Show coat calls for one elaborate top knot, but who’s to say, your pet Tzu can’t have two pigtails! The body can be shaved short, left at about an inch long or not trimmed at all. Lengths can vary depending on the season with a little more length in cooler months. Shih Tzu still do fine in the winter with trimmed locks as long as they can sport a sweater or coat for frolicking in the snow. 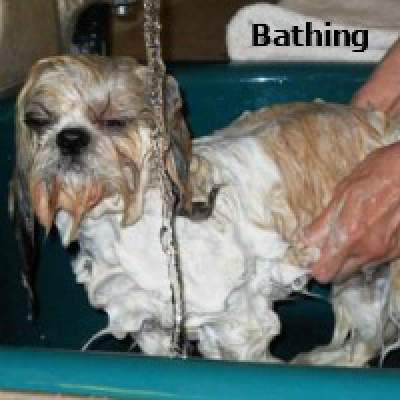 Most people think that their dogs need to be trimmed short in the summer to keep them cool. The Shih Tzu’s coat does a great job insulating the dog, keeping it cool in the summer and warm in the winter. So, don’t feel as if you are hurting your dog if you opt for a long style in the summer. Ears can be trimmed to the length of the whiskers and mustache giving the appearance of a rounded head. They can be left long. They can be shaved completely. Legs can be trimmed to the exact length of the body, left long, straight, and feathery, or clipped shorter at the top and longer at the paws giving the appearance of belly-bottoms. In any case, most people do not touch the tail other than to trim the ends, providing a plumage of thick tail hair that is carried over the body. This part of the body does tend to mat if neglected, so if you want to maintain that thick plumb, brush and comb using a steel comb several times per week. 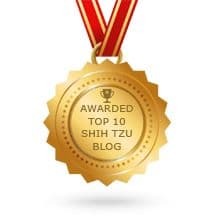 Your decision does not need to be based on the climate: The Tzu with long hair will do fine in the summer; the Tzu with short hair might need a coat or sweater in the winter. Long, thick face furnishings are beautiful, but if you have a Shih Tzu that dives head first into the water bowl, those lovely locks will be perpetually wet. A close shave over the face including whiskers and beard might seem like the perfect solution, but remember that the whiskers (not the hair) are there for a purpose as a sensory organ. If your Shih Tzu loves to take long walks through the woods, or quick romps on the beach, keeping a long style will take much more work. Dogs that spend time in the woods or fields do best with shorter leg styles. 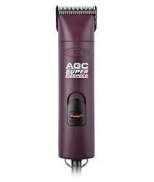 It is much easier to remove dirt, debris, or burrs when the hair is an inch long. Love that topknot look? Expect to redo it at least every day. Some dogs need to have it done twice a day. You will hear the terms, pet or puppy cut and sometimes the term Summer Cut or Teddy Bear Clip is used. You might think they all mean something different, but they all refer to the same cut. Whatever name you give it, this style is the most popular because it is so easy to maintain. 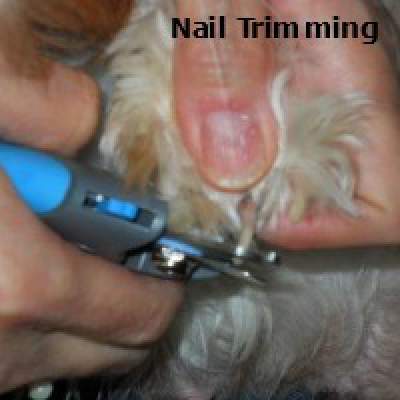 Here the groomer clips the dog down to approximately one to two inches of hair overall the body, legs and face. Ears can then be trimmed to the length of the facial hair or left longer. When completely brushed out, the dog looks like a fuzzy stuffed animal. 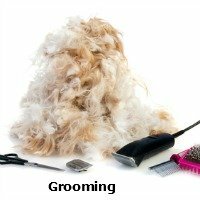 Remember, if you do keep your Tzu in this style, brushing is still needed because even with only one inch of hair, mats can develop. Clippers: I recommend a two-speed. If you want to clip your own dog, you will need to invest in a good pair of clippers with several different blades and clip on combs. You will also want straight and curved scissors and possibly a pair of thinning shears. A well-equipped home grooming salon will keep a variety of blades: #3, 4, 5, or seven for overall trimming the body and legs, #10 for the sanitary areas, and #30 for the footpads. The footpads can also be done with the number 10 blade to save money. The larger the blade number, the finer the clip. A number 3 blade will leave about an inch of hair. You can also achieve this length by purchasing a set of clip on combs that can be used with a #30 blade. Most professional groomers will have a wide assortment of blades and combs, but if you are only clipping your own dog, there is no need to purchase one of each. A few blades will do an adequate job. Clippers heat up quickly, and the last thing you will want to do is burn your little guy. 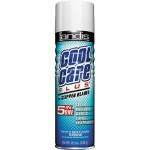 Purchase a can of blade coolant or keep two blades on hand to switch out when one overheats. Blades also need oiling, so a small container of blade oil is also recommended. So what do people do with all these Shih Tzu Haircuts? Standard haircut names don’t seem to exist, so if you know what you want your groomer to achieve, it is best to find a picture to take along when dropping of your Tzu. If your ready to do it yourself, grab a clipper and have some fun.